Burau bay is a shallow bay in the north of Langawi's west coast. 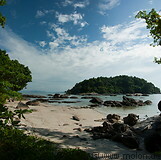 It is bordered to the south by Pulau Buray, an islet quite close to the beach. To the south of Burau bay lies the beach of Pantai Kok. 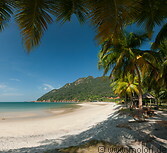 Two resorts, the Mutiara Burau Bay and the Berjaya Langkawi are located here. Burau bay is quite close to a number of Langkawi attractions: the Telaga Tujuh waterfalls, the Oriental village with the cablecar to the Gunung Macincang mountain and the Telaga harbour.